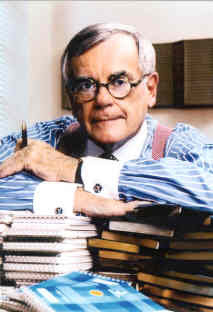 Best-selling author and journalist Dominick Dunne died Wednesday at age 83 after a battle with bladder cancer. His family said the cancer did not prevent Dunne from working and socializing. He knew Sharon in the 1960s when he was a producer. He also had great admiration for Sharon's mother Doris fighting for victims rights. He himself had one daughter who was strangled by a former boyfriend. His daughter, Dominque, fell into a coma shortly afterwards and died, having never regained consciousness. Recuperating from over-radiation, the author found himself drawn back into one of his past’s grimmest chapters: August 1969, when Hollywood learned of the murders of actress Sharon Tate, celebrity hairstylist Jay Sebring, and three others by the Charles Manson family – a crime that changed the town forever. Rudolph Giuliani had better luck with his radiation than I did. Mine turned out to be a disaster. I got over-radiated in a private area and suffered terrible pain-three weeks of it. They don’t warn you about the pain. As a result, I’ve been staying home nights until things clear up, and to my amazement I’m enjoying the quiet life. What with the Internet and the fax and the telephone, I’m always up-to-date on the kind of news that interests me-for instance, what’s happening with the Edmond Safra death and the Michael Skakel trial and why Tom Cruise and Nicole Kidman are breaking up. I watched videos of all the Oscar-eligible movies and sent in my ballot to the Academy. You’re not supposed to tell how you voted, so I won’t. One night in January, as I was channel surfing, I came across a two-hour documentary about the 1969 murder of the actress Sharon Tate and four other people by the so-called Charles Manson family on the E! channel. Oh, God, I don’t want to watch that, I thought. I didn’t want to dig up those awful memories. But I couldn’t bring myself to change channels, and for one whole part of the program I just stood there in front of the set, transfixed, too engrossed even to sit down. 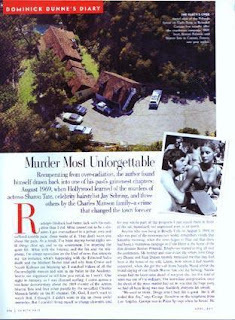 Anyone who was living in Beverly Hills on August 9, 1969, or who was part of the motion-picture world, remembers vividly that Saturday morning, when the news began to filter out that there had been a murderous rampage on Cielo Drive at the home of the film director Roman Polanski. Telephones started to ring all over the community. My brother and sister-in-law the writers John Gregory Dunne and Joan Didion recently reminded me that they had been at the home of my wife, Lenny, from whom I had recently separated, when she got the call from Natalie Wood about the brutal slaying of our friends Sharon Tate and Jay Sebring. Natalie always had the latest news ahead of everyone else, but this kind of news was out of the ordinary. The immediate interpretation, once the shock of the mass murder had set in, was that the huge party we had all been living was over. Suddenly everyone felt unsafe. “We used to think, Drugs aren’t bad, life is great-but it all ended that day,” says George Hamilton on the telephone from Los Angeles. George was in Palm Springs when he heard. He was with Alana Collins, whom he would soon marry, and Peter Lawford. “Everyone felt personally involved,” he recalls, because so many people from all walks of life had passed though the house on Cielo Drive in the short time that Roman and Sharon lived there. “Roman brought a dark energy to the house,” George says. For the next four months, until the Manson family was arrested, there was fear in the air. Who was going to be next? At the time of the murders, I was in New York, executive-producing the film The Boys in the Band. Lenny phoned me with the news, and I flew back to Los Angeles for a few days. People were sending their children out of town for safety, and ours were going to my mother-in-law’s ranch outside San Diego. People were buying firearms and attack dogs for protection. Steve McQueen packed a gun at Jay Sebring’s funeral, where he gave one of the eulogies. The Tate murders marked the beginning of bodyguards for the famous, and elaborate alarm systems, and high walls and gates. "My home was on Angelo Drive, right around the corner from Cielo,” says Rona Barrett when I telephoned her. At that time, Rona was the reigning queen of gossip in Hollywood, a combination of Hedda Hopper and Louella Parsons for the television age. She was a fret reporter when she went after a story, but she annoyed a lot of people with her fierce tenacity. Once, I saw Mia Farrow throw a drink in Rona’s face at a party at Laurence Harvey’s in Malibu after Rona had said something on the air that Mia didn’t like. I remember that Rona handled the situation with grace. Rona was the first reporter to arrive at the Polanski house after word of the murders leaked out. “I got a call saying something bad had happened at Sharon and Roman’s house. I got in the car and went. I got up the driveway and into the parking area. I saw a sedan there. There was a dead body behind the steering wheel. Then a whole group of detectives converged on the property. I saw them covering another body on the lawn. Then the police said, ‘Please, leave.’” There were quickly rumors of a hit list of famous people. “Metromedia gave me a private guard,” says Rona. The body behind the steering wheel was an 18-year-old named Steven Parent. He didn’t even know any of the celebrities inside the house. He had driven up to visit the caretaker of the property, and he was shot and killed by Manson-family member Charles “Tex” Watkins as he was leaving to go home. The body on the lawn that Rona saw being covered was a Polish friend of Roman’s named Voytek Frykowski. After having been shot and stabbed in the living room, where he was sleeping, he had run outdoors, and there he died of his wounds. He was the lover of the coffee heiress Abigail Folger, known as Gibby, another of the five victims. In an interview, Polanski later said about his childhood friend that he had little talent but that he was a charmer. Frykowski was also involved in drugs. To this day, there are those in the community who firmly believe that the murders were the result of a drug deal gone bad between Voytek Frykowski and Charles Manson. On a recent trip to Paris, I thought of looking up Roman to see if he would talk about the tragedy from his point of view. He was in a horrible position when he returned from England after the murders. There was probably no more photographed man in the world at that moment than Roman Polanski, returning to a home that was now a crime scene with yellow tape around it after his magnificent wife and their about-to-be-born child had both been slashed to death. His close pals, such as Warren Beatty, Jack Nicholson, and Robert Evans, the glamorous head of Paramount Studios, rallied around him. Since there was no place Roman could go without being besieged by reporters, Evans took him in behind the gates of his French manor house off Coldwater Canyon. He also hung out in Betty’s suite in the Beverly Wilshire hotel and in a place rigged up for him at Paramount Studios. Meanwhile, word spread that the kinds of movies he made, such as Rosemary’s Baby, had helped create the atmosphere for the catastrophe that had come down on him. Before leaving for Paris, I contacted Bob Evans and Warren Beatty and Jeff Berg, the head of ICM, who is Roman’s agent and friend, to see if they would approach Roman about setting up a meting. Bob Evans and I had recently made up after not speaking for many years, and he confided that he felt funny about calling Roman, because they hadn’t been in touch for a while. Then Jeff Berg told me that Roman simply didn’t want to talk about the murders ever again. I understood that, because I’ve had my own version of what happened to him. There comes a time when you just can’t discuss it anymore. Although I passed his apartment in Paris, I didn’t make any attempt to see him. I knew Roman slightly, but we had never been friends. Sharon was the one who was my friend, and I had met her through Jay Sebring, one of the remarkable Hollywood figures at that time. He was the first celebrity barber, and he became part of the scene. He was also part of Warren Beatty’s composite character in the film Shampoo. Jay was a wonderful guy. When he was in a good mood, he could be as funny as anyone I ever knew. I think he had a social hang-up about being a barber, feeling that it put him on a lower step than the crowd he palled around with. He craved acceptance. He lived in the house where Jean Harlow’s husband Paul Bern had committed suicide shortly after they were married, and where Hollywood lore has it that Louis B. Mayer, the head of MGM, and Howard Strickling, the chief of publicity, had destroyed his suicide note before the police arrived. Paul Newman and Steve McQueen were Jay’s special buddies. They all loved motorcycles. Jay used to get himself up in leather, and an expression of bliss would come over his face when he was gripping the handlebars of his motorcycle. He also drove a Porsche, in which the Police found marijuana and cocaine the morning after the murders. The first time I dropped acid, I dropped it with Jay. He brought it over to my house on Walden Drive one time when Lenny and the kids were at her mother’s ranch. Jay was credited with launching the trend of hairstyling for men. He was called a hairstylist, never a barber. Practically every male movie star in town went to him. He brought out his own line of products. He hired a wigmaker in the San Fernando Valley named Ziggy Geikke, who turned out some of the best rugs in the movie business. Jay had a private room for his steady clients so that they wouldn’t have to be seen by the other customers I had a regular appointment every third week, and it was in that room that I met Sharon Tate. She would often be sitting there in a chair, just to be with Jay as he worked. She looked so young that I thought at first she was coming there after school she wore her blond hair straight and long. She was quiet and friendly and smiled a lot at our conversations. Jay was so proud of her. He couldn’t stop looking at her. It was as if he couldn’t believe he had a girlfriend that beautiful I’ve never seen a guy more madly in love than Jay was with Sharon. Sharon wanted to be an actress in the worst way. God knows, she was pretty enough, and one day her big break came. She got a part in a picture called Eye of the Devil, starring David Niven and Deborah Kerr, in which she played a French country girl with the powers of a witch. Sharon was ecstatic, and Jay was ecstatic for her. The movie was being shot in England, and before Sharon left, we drank champagne in Jay’s private room and wished her well. What none of us knew that day was that we were seeing the end of Sharon and Jay. In England she met and fell in love with Roman Polanski, who directed her in The Fearless Vampire Killers and co-starred opposite her. 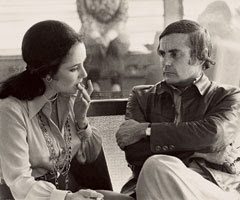 Charles Champlin of the Los Angeles Times described her as “a visual adornment” to Polanski. Jay was devastated by the turn of the event. It was painful to see his sadness over losing Sharon. I lost track of Sharon for a while after that. She made several films, the most important being Valley of the Dolls. In January 1968, she and Roman got married at a London registry office. When they came back to Beverly Hills, they rented the rambling ranch-style house at 10050 Cielo Drive. The owner of the house was Rudi Autobelli, a personal manager for film stars. Terry Melcher, Doris Day’s son, had lived there with Candice Bergen before Roman and Sharon. It would soon become a famous party house. One night in 1969, I was at a party at Tony Curtis’s. Tony had fantastic taste in art and furnishings. The first Balthus painting I ever saw was in his house. He had two of them. In those days he lived in a beautiful Mediterranean villa just off Sunset Boulevard in Holmby Hills. Next to Tony lived Jayne Mansfield, in her pink palace with the heart-shaped swimming pool. Tony was recently divorced from his second wife, the German film star Christine Kaufmann, and had just married the beautiful model Leslie Allen. His rose garden was lovely. As I remember it all these years later, there were gravel pathways between the beds of roses and boxwood borders. At one point that night, I went out into the garden, and there was Sharon, all alone, walking on a path by the white roses in full bloom. She was pregnant, and dressed in something white and billowing. It was like a scene in a movie, watching her. She made me think of Daisy Buchanan in The Great Gatsby. Since she had become Mrs. Polanski, I hadn’t seen her as much as I had when she was with Jay. We talked about old times at the barbershop and the marvelous turns her life had taken. I was smoking a joint, and she took a few tokes. Everybody smoked joints back then. It was no big deal. She was joyous about having the baby, and she had never looked more beautiful. She spoke with fret affection about Jay, and told me that he had become a family friend to her and Roman. There were rumors that all was not well in her marriage, but no such thing came up in our conversation. The baby seemed to be the solution to everything. I have always remembered that little interlude, because it was the last time I ever saw her. As always, she was dear, sweet, and utterly nice. After a while we went back in to the party. William Tennant, who was Sharon’s agent, had the horrible task of identifying the bodies. He was close to Roman and Sharon, and Jay cut his hair. He was playing tennis that Saturday morning when he heard about the murders. He got to Cielo Drive around noon, still wearing his tennis whites. After identifying Sharon, Jay, Abigail, and Voytek, he broke down and sobbed. Then he called Roman Polanski in London and broke the news to him. Bill was a handsome young guy who would later become an executive at Warner Bros. Popular about town, he was a regular at the Daisy. We had a mutual friend in a doomed Hollywood agent named Billy Belasco. Billy died in an automobile crash on Sunset Boulevard after he let the waiter he’d picked up at the Palm Restaurant drive his Jenson convertible 80 miles an hour when they were both allegedly on Quaaludes it happened the night before the memorial service Billy was going to host at his house in Bel Air for Sal Mineo, who had been stabbed to death in a garage. Billy was that kind of doomed. They say William Tennant was never the same after identifying the bodies. Jay had been stabbed and shot. Sharon had been stabbed 16 times, and her baby died in her womb. Whenever I saw him, I wanted to ask what it had been like, but Tennant never talked about it, and I never had the nerve to bring it up. Even 32 years later, he declined to appear on the E! channel film about Sharon Tate and her death. In the years before Jay was killed, he had been training a young apprentice named Joe Torrenueva to style hair in the manner he had created, as well as to run his ever-expanding business in hair products for men. Joe was the first person I called after I heard about Jay’s death. I could hear the grief in his voice. Joe had always understood what a unique character Jay Sebring was, with his own special place in the world of the famous. Today, Joe has a shop in Beverly Hills called Torrenueva, where he caters to a lot of big names in the film and television worlds, many of his customers, like me, used to be Jay’s clients, so there’s a long history. These days I live on the opposite coast, but every time I’m in Los Angeles, I go and have a haircut with Joe, in his private room. He shows me pictures of his grandkids, and I tell him about my granddaughter, but we always end up talking about Jay. He was a part of our lives that we shared. The fame Jay craved came to him by way of his death, not his life. He and Sharon were sitting on her bed talking when the killers burst into the room. Jay, lean and trim, could have held his own in any fight, but knives and guns were something else. They got Jay first. Right up to the last moment of his life, his thoughts were with Sharon. Dying, he cried out to the killers to spare her because she was pregnant. The killers didn’t care. Sharon Tate has never faded from my thoughts, either. 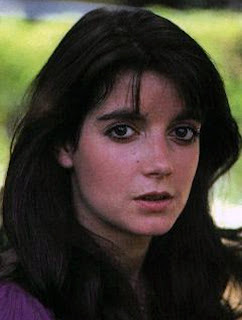 In 1982 my beautiful actress daughter, Dominique, was murdered. As a way of dealing with our grief, my former wife and I became involved in support groups for parents of murdered children. Through one of those groups we met Doris Tate, Sharon’s mother, who had become an advocate for the rights of victims of violent crimes. We found her inspirational. She had turned her loss into an effort to help people going through what she had gone through. Lenny and Doris got to know each other, and Doris brought out a fighting spirit in Lenny that I don’t think Lenny knew she possessed. In time Lenny founded her own group, called Justice for Homicide Victims, and the former President Bush presented her with a meal at the White House for her work. Doris is dead now, and so is Lenny. Watching the E! 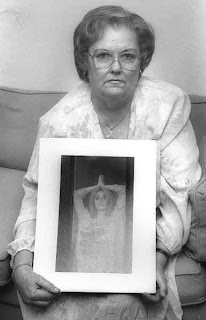 channel documentary, I was particularly struck by the footage of Doris Tate at the parole hearing for Tex Watkins, who, along with Susan Atkins, had killed Sharon and her unborn child. Doris was there to prevent Tex from ever being granted parole. Oh, boy, was she tough as she spoke directly to him: “What mercy, sir, did you show my daughter when she was begging for her life? Are those …victims…going to walk out of their graves when you get paroled? When will I come up for parole? Can you tell me that?” on and on she went. No crying, no hysterics, just tough, straight talk, laced with contempt. You could see only a side angle of Tex Watkins’s face, but I saw shame on it. I had tears running down my cheeks. “Go, Doris, go!” I yelled at the TV set. 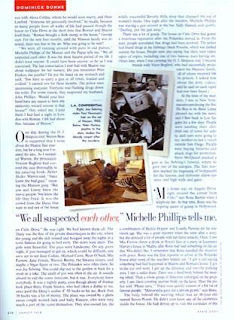 Note: Photos above are from the Vanity Fair issue, and there is one of Dunne with Liz Taylor early in the 1970s, I found a photo of Dunne's beautiful daughter and added it, along with another of Dunne as a journalist and Doris Tate with a photograph of Sharon. Informative article, but the "Tex" referred to has the surname "Watson" and not "Watkins". Sharon, a beautiful person inside and out, I have always enjoyed Dominick Dunne's articles and the one he wrote about Sharon is neither maudlin or sensational, just his take on a life he once lived and the people who touched it including Sharon. It's pretty sad the only thing the last two people who commented on this site had to say is to be petty enough to correct a name and the other to complain about the print colour. I was a little girl just turned nine and living in Bayswater, London in the middle of the swinging sixties when this happened. I remember vividly my parents reading about it in the News of the World and their being utterly shocked at the wickedness of human beings and although I was not privy to the awful details then it still made a huge impact on me even as a child. I was enamoured of some of my parent's friends who were hippies who espoused peace and love and I think it was even more shocking to them and my parents when it was eventually discovered the heinous crime had been committed by hippies purporting to share those very same values. I really do think that was when the flower power sixties ended even for us in the UK. Even as a child I was stuck by how beautiful Sharon was and her pictures have a quality that you cannot tear your eyes away from, and even though it is sometimes easy to be blinded by her incredible beauty, her niceness and kindness shines through, even now a picture of Sharon makes me stop and catch my breath at her loveliness and the ugliness that took her life. In those days when so few of us in England could even dream of travelling to the States, and were brought up watching The Monkees & Bewitched, America seemed so far away and so exciting and no one could believe that this could happen to movie stars and their friends in their own home. I have watched innumerous documentaries and read books and articles over the years about the events of that night and it is still unbelievable that 4 young people could be involved in the slaying of 4 other young people purely for the sheer hell of it and "hell" being the operative word. I will never lose my admiration for Doris Tate or Sharon's sisters Debra and Patti who has now sadly passed away. They have never been less than dignified and gallant in the way they have conducted themselves unlike the perpetrators who have all at some time denied their involvement to some degree when it suited them and they should be ashamed that they even want to be granted parole. No one could imagine what Sharon's family and Roman himself must have gone through over the years thinking of Sharon and her friends last moments, it doesn't bear thinking about. Keep on doing what you are doing Debra for your mum and your late sisters and god bless you. Sharon is a beautiful girl and it is nice to know that she was a good person too, I like the fact that she was not in competition with other women, had no time for those kind of petty feelings. Debra - don't listen to any negative comments that may come your way, you are the only true person who knows. I was so proud of your Mom giving it to Tex and he had to take it. I was only six years old when Sharon Tate and the other victims were brutally slain. Having lived in Indiana I was not touched by the heinousness of their barbaric deeds. My mother sheltered me keeping me from knowing things like that happened. It was when I was in junior high and another student mentioned a movie named "Helter Skelter". She didn't really want me to see it. She felt that I would have night mares, but somehow I was able to see it. I have to admit that she was right I had many nightmares after watching the movie. Time has passed and now I am an adult but the images still haunt me to this day. The one thing I don't understand is how the pictures of the victims made it online. It's so disrespectful. Another film Sharon may have made with Roman? Another Possible Film Sharon was an Extra in? A New Positive Article on Sharon! "Sharon... was always there, with him."